You are here: Home / Freebies & Printables / Printable Thank You Card… Green Botanical Prettiness! 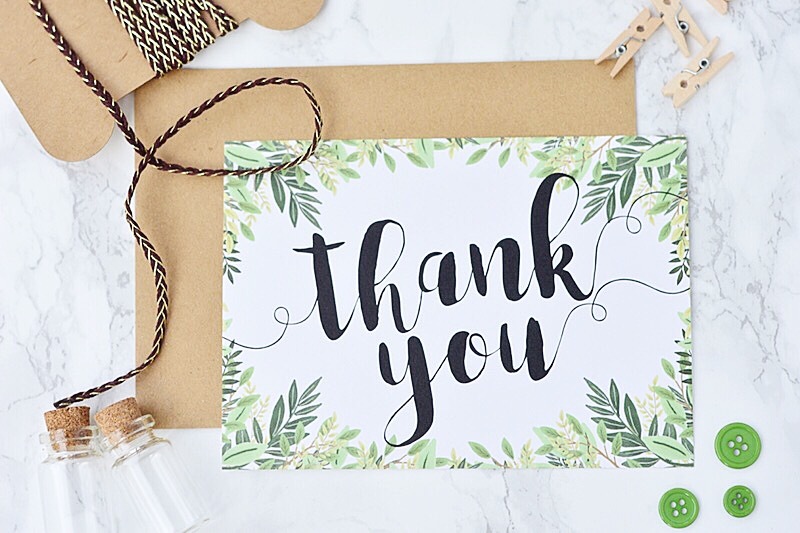 Printable Thank You Card… Green Botanical Prettiness! Thank you cards are often one of the things that people totally forget to factor in for their weddings. But hey, it’s only polite to say thanks! To show my appreciation to you, my lovely readers, I’ve created this super-pretty botanical inspired free printable thank you card. And it’s yours for the taking! It would be perfect for a spring/ summer themed wedding, or even just to download and have to hand to send to someone special at any time of the year. 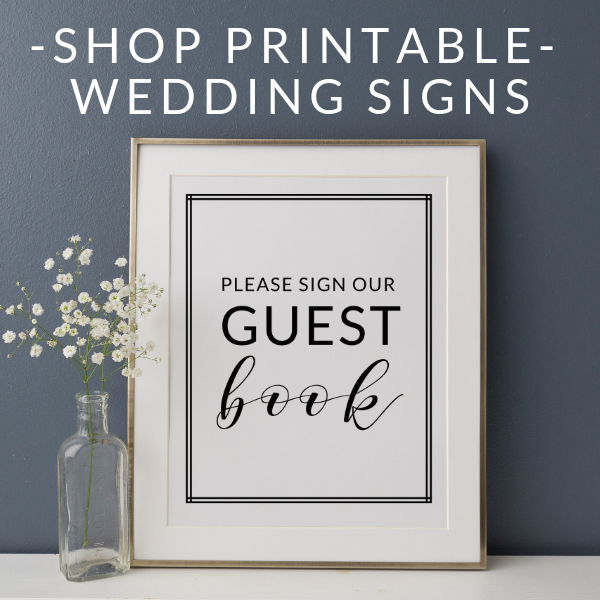 How will I receive the free printable thank you card? Simply click on the link above and the file will automatically download to your computer. It downloads as a zipped file – double click on the zipped folder to open it up and access the files. Print it on your home printer. It’s sized to print on A6 paper (10.5cm x 14.8cm). 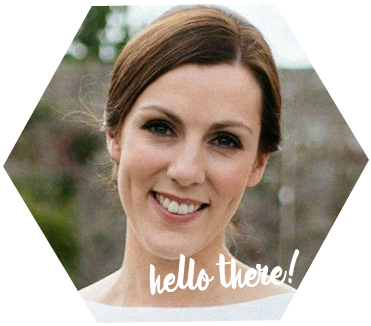 For more details on how to print stationery at home check out my guide on printing wedding stationery yourself. Have it printed off online. My favourite online printer is Printed.com whom I used for the stationery for my own wedding. I love their choice of cardstock and they’re very reasonably priced.